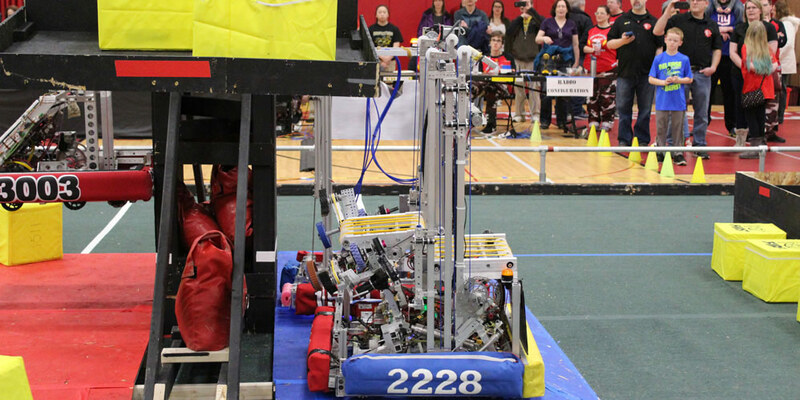 Hello, and welcome to the website of FIRST Team 2228 CougarTech, located in Honeoye Falls, NY. 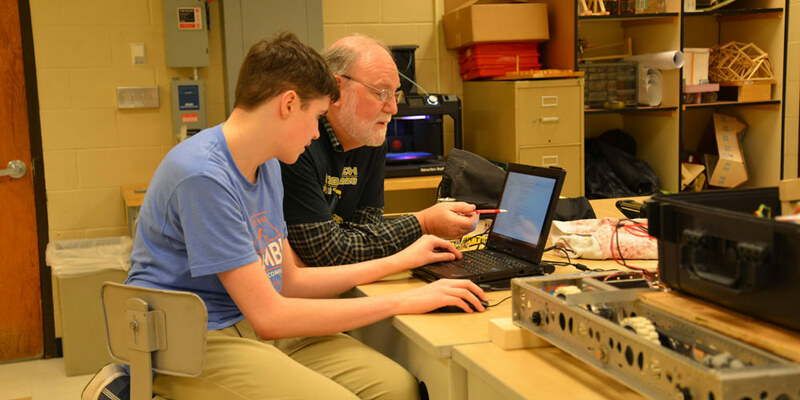 CougarTech is a veteran FRC team that prides itself on its coopertition with other teams and its teaching of younger teams. During the six weeks of build season, we build a robot to play the year's new game that FIRST designs each year. During the off season, we work on public outreach, recruitment, fundraising and sponsorship to support our team and FIRST. 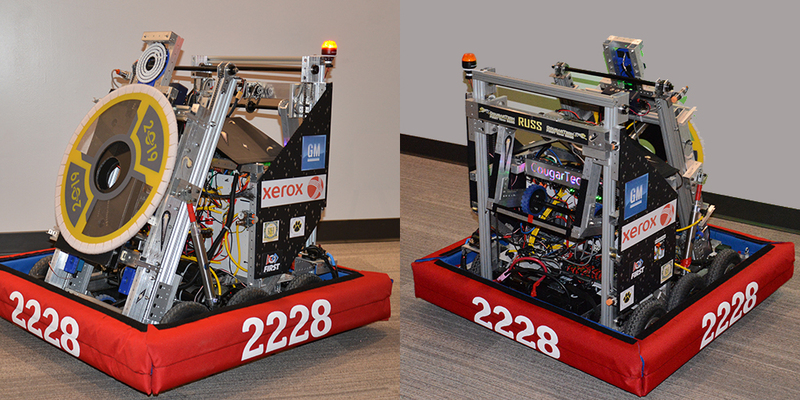 Team 2228 is a US FIRST FRC robotics team established in 2006. 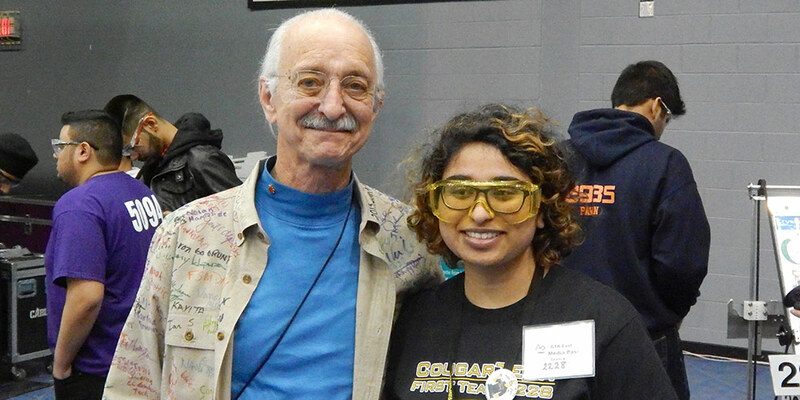 Also known as CougarTech, our current team membership is composed of about 40 students. 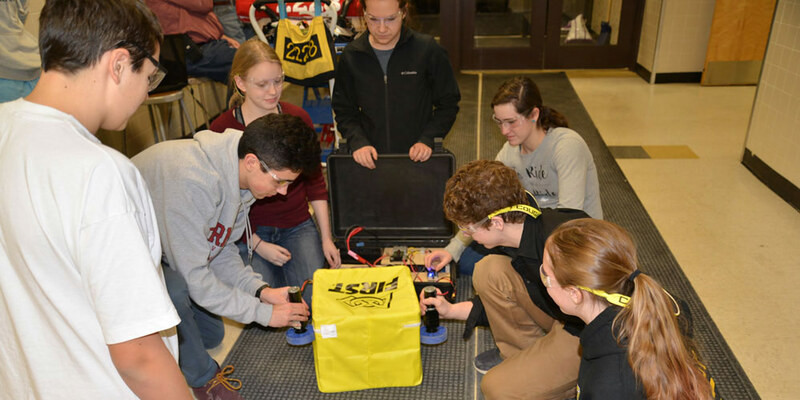 Our team is primarily composed of students from the Honeoye Falls-Lima (HF-L) and Rush Henrietta (R-H) central school districts. 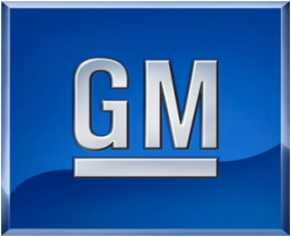 We are sponsored primarily by General Motors, Xerox, and Apple. 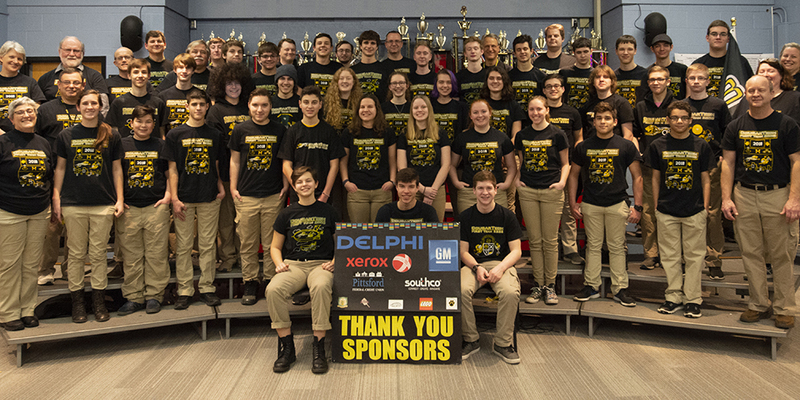 Other support comes from SouthCo, Delphi, Han-Tek, Pittsford Federal Credit Union, Skyport-IT, Honeoye Falls-Lima High School, Ruck's Pizza Kitchen, and Rochester Community Robotics. Our mission is to maintain a self-sustaining team that motivates young people to be leaders by engaging them in exciting programs that build science, technology, engineering and math skills. We strive to inspire innovation and foster life capabilities including self-confidence, communication and leadership.